Here we are with a big group from Saint Louis, the dive shop Scubaworld is in the house! They’re a very fun group, they were all so excited from the moment they stepped on the boat and today they were ready to go at 6:30am to get into the cages. It was a little dark still, but minutes later the first shark showed up, and then all cages were filled! We started to take the submersibles down at 8 am and the great white sharks came close, making eye-to-eye contact. At times it felt like a little too much adrenaline, but is better than coffee at waking you up! The sharks breached many times, and we were going crazy when we were watching. They came so fast from the deep to break the surface and in less than a second, the whole shark’s body was completely out of the water!! It was amazing, it happen at least 5 times this morning! Totally crazy action today and we still have 2 more days to go! As soon as the bait touches the water you can hear our guests shout in excitement: “SHAAAAAAAAARK! !” We are in Guadalupe Island once again and the team is now complete with our master videographer Adil “Spielberg” Schindler, so come live the experience in real life with the Nautilus Belle Amie! Smile for the cameras and make your next adventure the most epic holiday of your life! The first few morning hours began with a beautiful sunrise but a bit slow with minimal movement in the water. Action began closer to noon with a few small-sized adults circling, picking up throughout the afternoon with a couple of large females and a big identified male giving us a spectacular display. 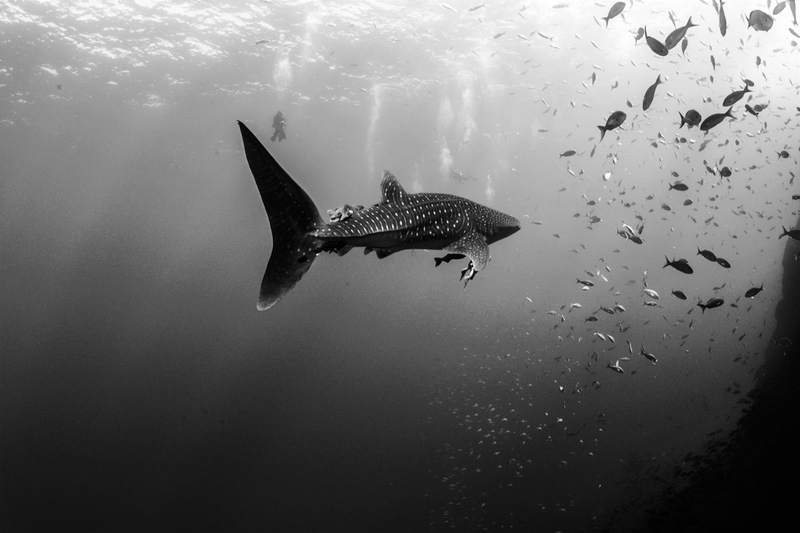 The finale of the day was some expert wrangling performed by the divemasters and crew, applauded generously by enthusiastic guests on the stern and sundeck while adult whites continually attacked bait. The guests were able to record excellent in-water footage as well as aerial and from the boat. We are just sailing back to Ensenada after another great trip to Guadalupe Island. This week we had only sunny skies and flat seas at the island. Great conditions and many sharks around. Quite a few males around this trip, some small and fast ones and the two ‘Big Mommas’ “Lucy” and “Scarboard” were around the Nautilus Explorer every day! Especially on the last day, we had constantly between 5 – 7 sharks around us. They were hungry too!! Many attempts to eat the tuna bait. Two full breaches and countless partial ones. 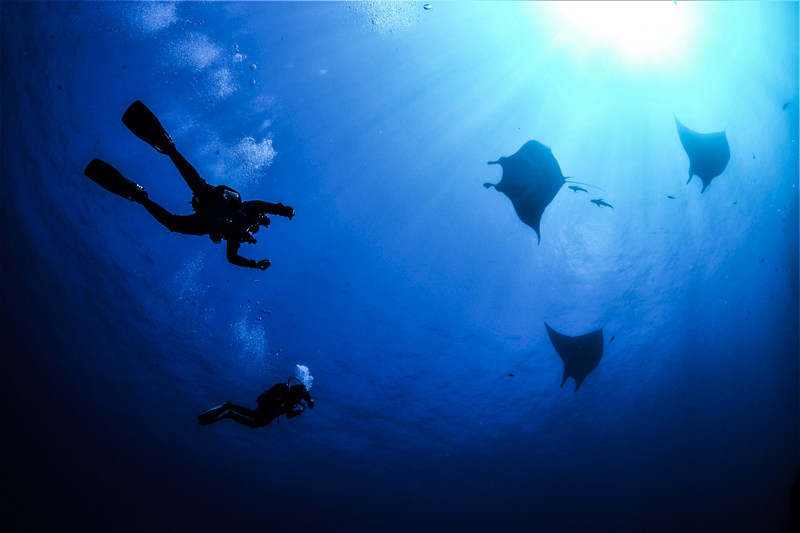 An amazing day underwater and at the surface! Hello everyone from the Nautilus Explorer! We are heading back to Ensenada from Guadalupe, and guess what, it was AWESOME! We were very lucky this week to have had two of the biggest sharks (“Scarboard” and “Lucy”) hanging out around our boat for three days. On top of that we saw many other sharks, dozens of yellowfin tuna chasing the mackerel under our boat and lots of action out of the water too, with sharks breaching completely out of the water trying to take the bait. It was a fantastic trip with a really funny group of guests and we all had a great time. Some of the have already booked their next trip with the Nautilus Explorer for next year! 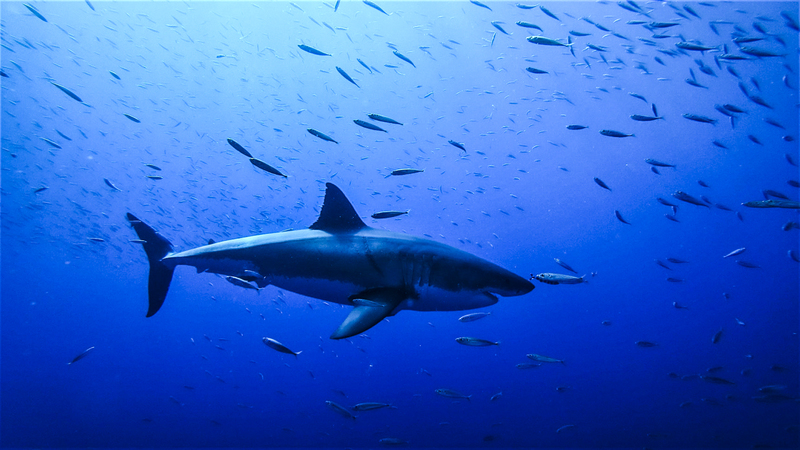 That is all for the moment from Guadalupe Island, in a few days we will have more adventures to share. 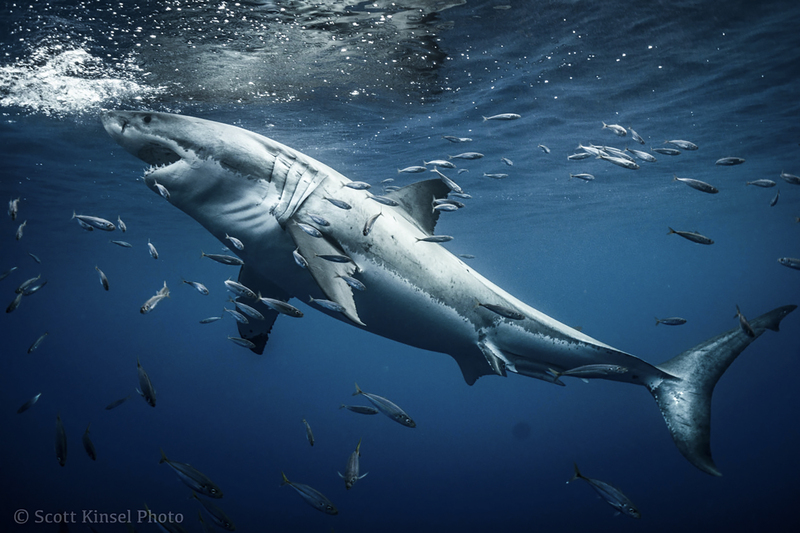 Today was a slow day for shark activity due to low number of sightings. There were four different sharks throughout the day but mostly at depth. We were not able to identify any of them during our “Shark ID” session this evening. However, we had very satisfied guests who expressed there gratitude during our Taco Night! 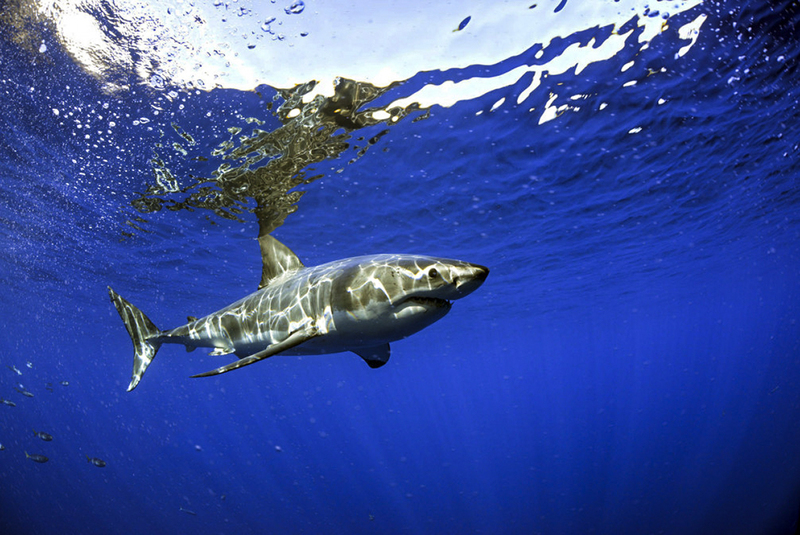 We are all looking forward to a great day of great white shark diving tomorrow. Wondrous place Guadalupe Island, one just can’t get enough. Today, after the time change last weekend, the sunrise surprised us on the deck, but we were ready anyway. Another great surprise was the number of males, big males that showed in the afternoon. Some we are familiar with like “Rhett,” “Johnny,” “Ropey,” and “Luca Arnone”…but many new faces came out of the blue, and they seemed to like it, because they stuck around until the sun disappeared over the island. Very close encounters both on the surface and 25ft down in the submersibles. 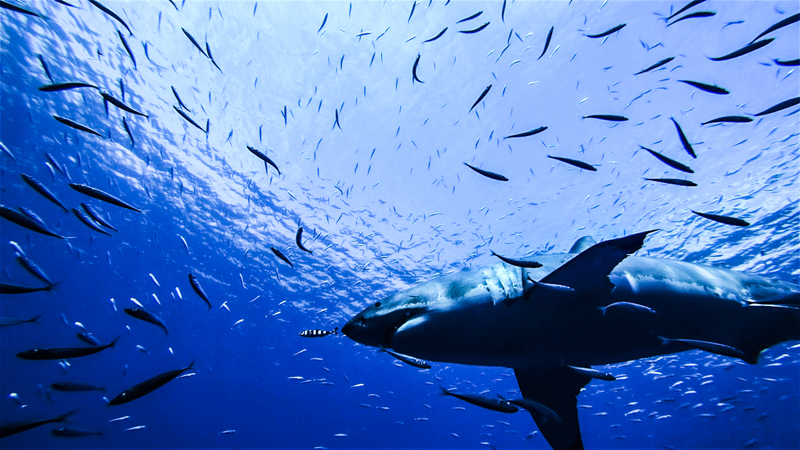 At times one could have a frame of view with up to four big sharks in it… Guadalupe Island, the one and only! 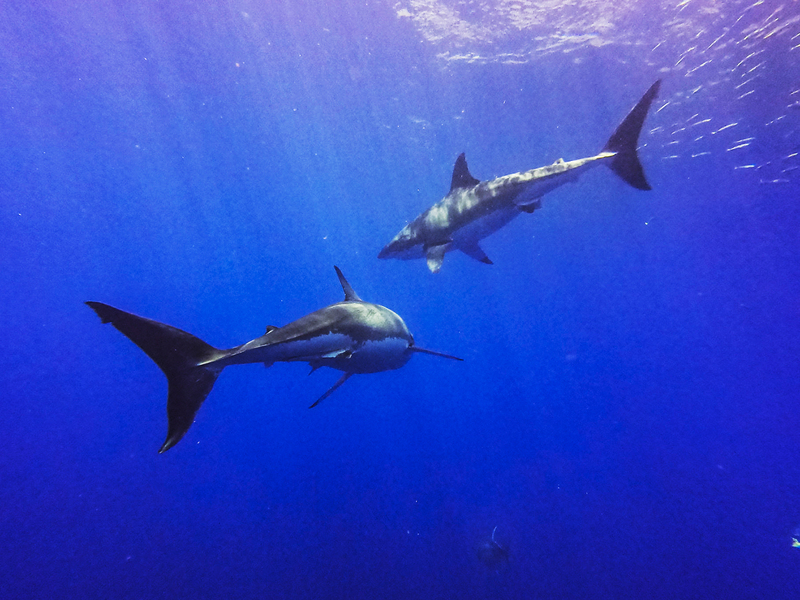 We have just come back from another great trip to Guadalupe Island. The sailing was smooth and we had many sharks around the boat. Some sharks are very fast at the moment of their breach, and we got to see big parts of them, sometimes even the whole shark, breaching out of the water as they go for our bait. On this trip we also saw a green turtle, and a sea lion, hanging out right next to the boat for several hours, oblivious to the sharks around it, just playing on the surface. Many of our guests had come with the Atlantic Great White Shark Conservancy. It was very interesting to exchange information about the sharks in the Atlantic compared to our sharks here in the Pacific. And in general to have so many shark enthusiasts on board. Cynthia and Ben, thanks for the important work you do on the East Coast!